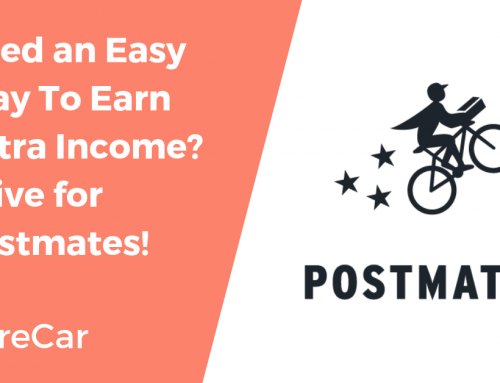 People who decide to leave their day jobs, and take on rideshare driving as a full-time gig, may need some help transitioning away from their typical bi-monthly paychecks. When working on a salary, all taxes and Social Security/Medicare is automatically removed. 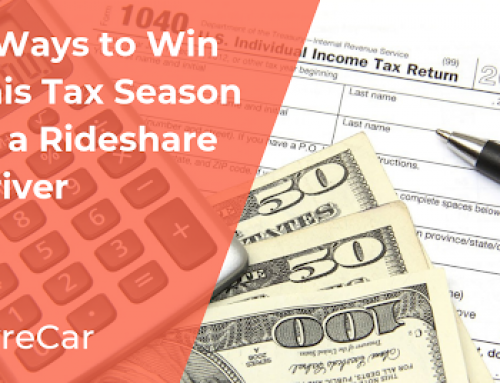 But as an independent contractor, the responsibility falls on the driver and tax season goes a little differently. Just to name a few examples, this applies to those who drive for other on-demand delivery services like Uber, Lyft, Postmates, DoorDash , Instacart and Shipt as well. The good news is that as a self-employed independent contractor, there are a ton of tax deductions and incentives that can lessen the tax man’s bill. Here are a few tips and tricks to legally keep your taxes as low as possible. Although it’ll take a bit of your time, keeping a mileage log is imperative. As of 2016, the IRS allows you to deduct $0.54 per mile driven on a vehicle for business purposes, but in order to do this you must keep detailed records. There are a number of apps you can use, or you can keep track by hand. The IRS expects independent contractors to pay their tax bill quarterly (in 4 installments). For those who expect to owe at least $1,000 in taxes, the IRS imposes penalties if you don’t pay enough estimated tax. To find out your estimated tax liability, go on bankrate.com. It can be tempting to keep a little extra for yourself, and not file it with your taxes – especially when someone slips you a $20 bill. Report it all. The trouble you’d get in if caught isn’t any near worth the couple of extra dollars you’d save cheating the IRS. TurboTax Self-Employed is another easy-to-use online tax filing product that will save you from paying a CPA or a tax filing company like H&R Block to do your taxes for you. You enter everything and the software does all the work, including electronically filing your return. 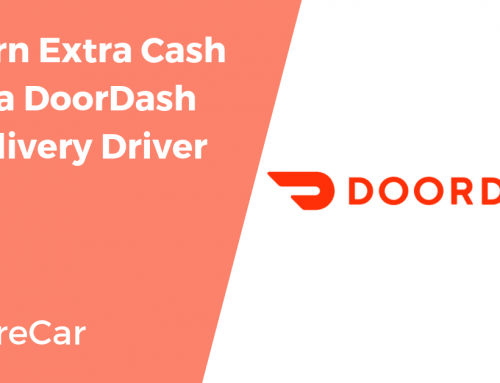 Click HERE to start for free and uncover every deduction you qualify and earn every dollar you deserve as a rideshare driver. You can also check out Liberty Tax and Take an Extra 20% Off Every eSmart Online Tax Filing Solution. Click HERE to get signed up! The IRS has a tendency to revisit a person’s past tax returns and look for mistakes. Audits have a statute of limitations of three years, but it is always better to keep things for a bit longer if it might help clear things up. The traditional rule of thumb was seven years, and many people still stick to that. A driver’s car is a vital piece of equipment for their business. General maintenance, upkeep and car washes can be deducted. Making sure your car looks sharp is also important for keeping up that level of cleanliness that passengers expect. A lot of rideshare drivers purchase a new car and pay it off by driving it. It’s a great idea, and since the car is being used for business you can also deduct a portion of your car payment (even if it’s a lease) proportional to its business use. 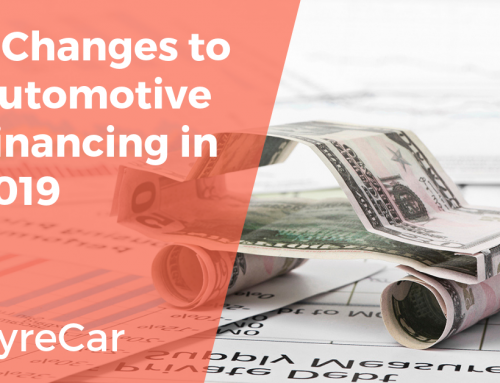 Read more about auto related deductions. The IRS allows you to deduct business-related entertainment. 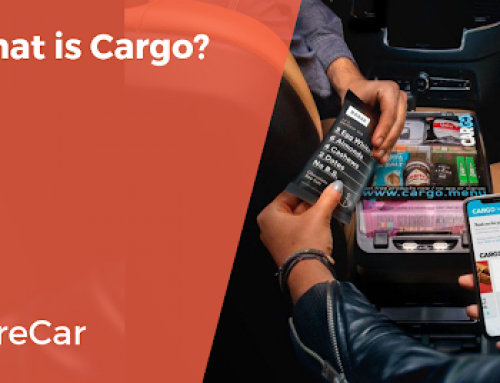 But while drivers aren’t allowed to claim their own meals during work on taxes, but they can claim up to 50% on snacks and drinks provided to their passengers. Paying things like tolls and parking can be claimed on a driver’s taxes, so make sure to keep track of these. Getting a ticket for illegal parking or traffic infractions, however, can’t be claimed. Be mindful of traffic and parking laws to avoid the extra expenses. Each state will have different tax laws and regulations. Take the time to learn them and follow them as closely as you would federal tax law. A state’s revenue service might not have the same high intimidation factor as the IRS, but they have just as much authority and power to enforce the law. Rideshare drivers face certain insurance limits. For instance, not all states recognize rideshare insurance policies, although most major carriers do offer it. Look into your state’s regulations and your insurance to make sure you’re eligible for a deductible. If your state bases its registration based on vehicle value (instead of weight) and charges the tax annually, you may be eligible to deduct a portion of your registration fees. The requirements vary by state, so make sure to check in with your state’s regulations to make the most of this deduction. You can deduct a proportional amount of your cell phone wireless plan from your taxes. 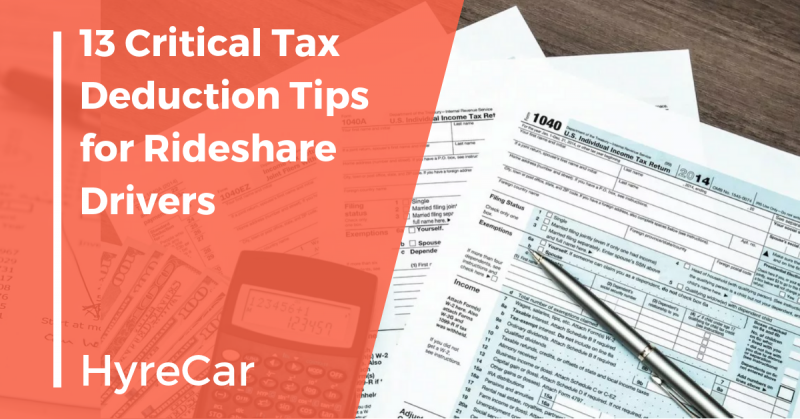 Most drivers use the same cell phone for business and personal, but if you have a separate phone for rideshare purposes only it might be easier to keep track of your business calls/texts and that way you can write off your entire phone bill during tax season. To take advantage of all of these great options, you want to find yourself a good accountant. Make a small investment to hire a professional that will guide you through the steps above to make sure you optimize your tax returns as an independent contractor. Uber X Vs. Uber Black: How Much Money Will You Make?